Blue-collar workers are known to be at higher risk for work-related aches and pains because their tasks always require greater exertion. 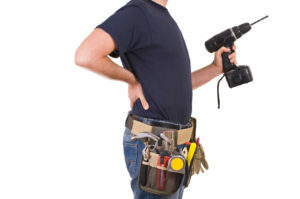 LBP (lower back pain) is one of the most common disorders that people employed in manual labour positions experience. Studies reveal that 50 per cent of workers experience back pain symptoms at least once yearly. In 2011, the GBD (Global Burden of Disease Study) revealed that lower back pain is the highest contributing factor to disability worldwide. In a physically demanding work, your body needs to be prepared to avoid LBP. One step to help prevent back pain is going for a complete chiropractic exam. Your chiropractor will do a comprehensive assessment of your joints and spine, together with a thorough health history to correctly pinpoint the regions that require adjusting. Typically, adjustments are natural and safe, and they help keep your joints and spine in optimal alignment, which reduces pain and helps to prevent any future injuries. • Work boots usually wear out over time and start to offer reduced shock absorption. You should replace your work boots on a regular basis, and also consider orthotics or insoles to improve arch support plus shock absorption. • Keep moving because when you stand in one place for a long period, it increases fatigue in your leg as well as your back muscles, resulting in comprised posture. Despite what you were told by your teachers when you were still in preschool, fidgeting is always a good thing for you. • Proper lifting techniques are very important. Avoid twisting whenever you’re lifting any item and always remember to lift properly using your legs strong muscles: never use your back. Regular chiropractic care and safe work practices can help you prevent or avoid lower back pain and other related work related pain. This entry was posted in Back Pain and tagged back pain, lower back pain. Bookmark the permalink.